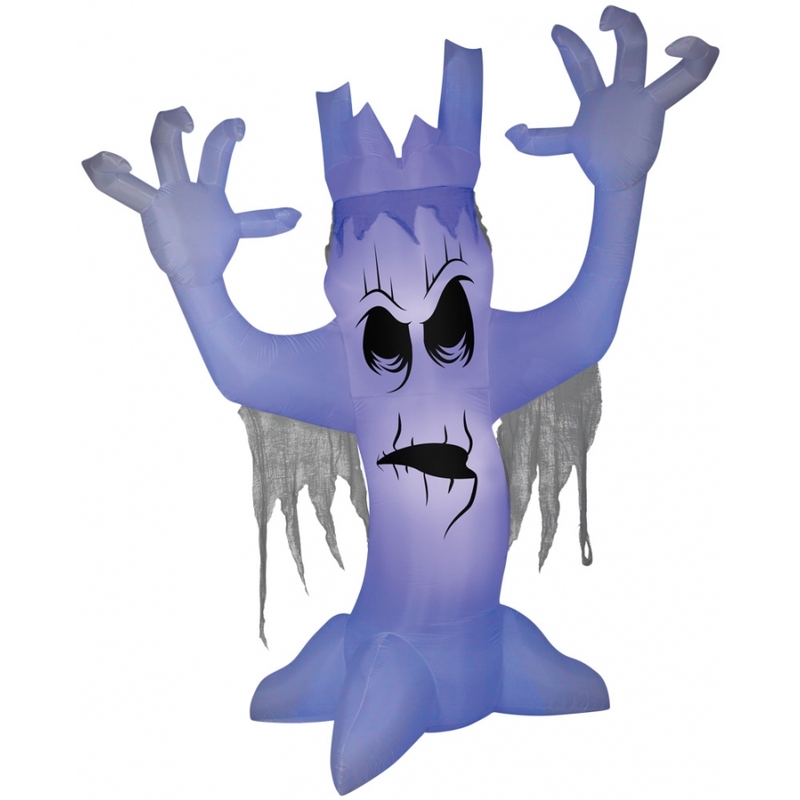 Giant Airblown Scary Tree stands 12 feet tall! With a sinister face and long reaching arms, it may grab you at any moment! A black light effect also features a short-circuit type of flickering that creates a spooky effect. Airblown gives your decor maximum impact with minimum effort and it comes with everything you need for quick and easy set-up. You just stake it down and plug it in. Lights up with clear LED lights Self-inflates in seconds Deflates for easy storage Made of Fabric,60%; Metal,20%; Plastic,20%. Measures approximately 144 inches tall, 111 inches wide, and 55 inches deep.